MALAYSIA’S & APEC/ASEAN LEAD CONSUMERIST: ZIKA A REAL THREAT NO TWO WAYS MALAYSIAN MOH WARNED! ‘But more importantly are we going to strictly implement international health regulations and observing the World Health Organization’s advice on the disease. This involves implementing epidemiology surveillance, vector surveillance, birth-defect newborn surveillance, and nervous system adverse event surveillance. I want to congratulate Singapore’s Ministry of Health (MoH) for going public, transparent and confirming of 41 cases of locally-transmitted Zika virus infection in the republic! Its report indicated that of these cases, 34 have fully recovered while the other seven – who are still symptomatic and potentially infectious – are recovering at the Tan Tock Seng Hospital. The report stated that all the cases were residents or workers in the Aljunied Crescent or Sims Drive area. It was also professional of them to also clear the circumstances of the said infection by stating that the affected were not known to have traveled to Zika-affected areas recently, and thus likely to have been infected in Singapore! Basically the report confirms that this community transmission appears to be localized within the Aljunied Crescent or Sims Drive cluster! As of statistics, 36 are foreign workers who worked at a construction site at 60 Sims Drive! Interestingly, this announcement comes a day after NEA and MoH said a 47-year-old Malaysian woman living at Block 102, Aljunied Crescent is Singapore’s first reported case of locally-transmitted Zika. Inexplicably, our northern neighbor Thailand’s Department of Disease Control chief Dr. Amnuay Gajeena on Sunday urged Thais to help control the breeding of Aedes aegypti mosquitoes. We are advised that provinces where Zika virus patients are being treated were also instructed to immediately set up emergency operations centers to contain any outbreaks. At the same time due to its urgency even Thailand’s Foreign Affairs Ministry is roped in to re-check information and clarify the disease’s progress with the European Center for Disease Prevention and Control (ECDC). The ECDC website cited Thailand as a “red alert” country with increasing or widespread Zika virus transmission to the point of having the region’s highest number of patients within the last three months. But what troubles me greatly across our side of the causeway is again the brain dead statement that Malaysia is being so far being spared of this outbreak? Singapore has it, Thailand has it and someone is saying we in the center a habitat for dengue do not have it? Perhaps, the Creator knows we are so short of funds at the MoH that he is sparing us this outbreak? So is the golden rule now that intensified surveillance across our side of the causeway, the monitoring at the two main entry points into Johor Baru following the case of a Malaysian woman being infected by the Zika virus the answer? Can we in the public interest ask how this is going to be done? I mean strategically, logistically, with a detailed plan of action, how? In Malaysia, we are the “world’s capital for dengue” and we also have far too many construction sites and foreign workers living in ground conditions which includes sexual habits that are perfect ingredients for Zika transmissions nationwide! Inexplicably, we are told precautionary measures to be taken included distributing pamphlets on the prevention of Zika infection and placing paramedics at the entry points to examine tourists showing signs of the disease. Really? Pamphlets our secret weapon against Zika? We just had a brilliant strategy here which I am certain world governments must now seriously implement! WHO please do take note! Of course we are told by the “great one” himself that Malaysian and Singaporean MoH were in close contact to tackle the situation and get the latest information on the first local infection and coordinate preventive and control measures. But what is the strategy I ask the learned one? But what caught my attention and increased my curiosity was that statement that stated that beginning this year, the ministry had intensified monitoring as well as taken preventive and vector control measures at all international entry points for foreign visitors and locals returning from Zika-infected nations. That more than two million visitors from 155 nations reported to have Zika infections have been screened at air, sea and land entry points? I arrived at the airport on Saturday last week and believe me there was that scanner but it was not manned by anyone! Perhaps, the said individual went to pee or maybe hid being warned by psychic forces that the nations lead consumerist is coming through and go hide? For the record, we are told that between June 2015 until last Friday, 784 blood samples had been tested from patients displaying signs of Zika virus infection. However, that the results of all these tests were negative! Let me just advice the Malaysian MoH , the National Public Health Laboratory and the Institute of Medical Research not to get excited as I am certain based on our track record, our now lack of adequate funding available, other crisis and fatalities, that we have had with dengue, it is just a matter of time, before the Zika crisis hits! Of course we will have our learned friend of course communicating as always through facebook on strategies, and plans of action how to address the crisis then? And it will all work out the typical Malaysian way? But more importantly are we going to strictly implement international health regulations and observing the World Health Organization’s advice on the disease. And telling the truth to all Malaysians something that seems to have been lost in recent decades by certain quarters? Finally I end with a quote from my dear friend, Dr Amar-Singh HSS who is a consultant pediatrician, who wrote in the Malay Mail August 31st the following observations in the public interest which I cite here! “ 1. The Zika virus is spread mainly by infected Aedes mosquitoes and also by sexual transmission. Our nation is rich with Aedes mosquitoes. 3. Most importantly we have failed as a nation in our fight against Dengue, and the same mosquito vectors carry Zika. Dengue may kill, but if you recover you become well again. Zika will maim and cause significant disability, especially to unborn children. And as we are still not immune to it, large numbers have the potential to be infected. Imagine all our children that may become disabled as a result of this virus. The numbers from countries struggling with the Zika virus are frightening, even to me as a medical consultant. Current evidence suggests that between 15-20 per cent of infected pregnant mothers will have a baby with brain damage, especially in early pregnancy. We may want to believe that we can prevent Zika from reaching Malaysia but that is a myth. The symptoms of Zika virus disease are very common (fever, rash, headache, red eyes, etc.) and many people infected with Zika will have mild symptoms or no symptoms. This means getting rid of Aedes mosquitoes. The public will demand that the Ministry of Health (MOH) take action on this, like they have for Dengue. MALAYSIA’S & ASEAN/APEC Lead Consumerist Interviewed By Nepal’s New Business Age! 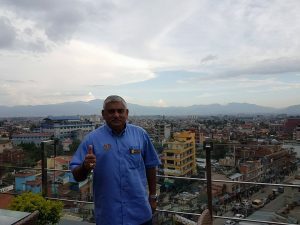 What brings you to Nepal this time? I have been coming to Nepal for the last 25 years. I have a lot of friends in the country. My relationship with them has always been very formal. My grandparents were also very close to the Gurkhas. I am romantically involved with Nepal and have thought of this country as my second home. When the ‘free visa, free ticket’ project was initiated, we wanted to use Nepal because of the close ties I have with the country. I am very concerned about the exploitation of Nepali workers. How are the workers exploited? Over the years, we have realised that foreign workers are exploited. They are exploited mainly by agents and then the employers. By supplying the workers, the agents not only earn money from the employers, but also from the employees. The remunerations of many workers are much less than what they are offered earlier. The systematic exploitation has crossed over two decades in most source countries of Asia including Nepal, Bangladesh, Philippines, Pakistan, India, Vietnam and Burma. Over the years there have been many attempts to address the issue of labour exploitation. Many ideas have come to the fore and are implemented but with a limited impact. There are many problems regarding the control of labour exploitation. First of all, source countries do not work closely with the advocates. Similarly, the strong lobbying power of agents to continue the status quo is also hindering the issues. I have been working, campaigning and lobbying to end the labour exploitation. I have been engaging in talks with senior officials at the Malaysian government and Association of Southeast Asian Nations (ASEAN). The discussions have been very positive. We have pressurised the employers to come out with what we people now call the ‘zero cost’ or ‘free visa free ticket’ policy. The objective of that particular initiative is to eradicate the engagement of agents regarding the supply of foreign workers. I believe that the cheating and exploitation of workers needs to be stopped. Most of the migrant workers from the source countries are villagers who can easily be cheated and exploited. So during my discussions with senior Nepali government officials, former prime minister, labour minister and home minister, I decided to make Nepal a pilot project regarding the control of labour exploitation. With the pilot project, there will be a system in place to manage the terms of labour contracts, processes and legal guidelines ensuring that the workers do not get cheated. We intend to monitor every process. This initiative demands positive role of employers. We are currently working with Flextronis from Malaysia in this particular venture. With the company, we initiated the project more than two years ago. Since that period, we have brought 4,000 Nepali workers to Malaysia using the free visa free ticket policy. How is the situation for migrant workers in Malaysia today? How do you view the problems faced by Nepali migrant workers in Malaysia? The problems faced by migrant workers in Malaysia today are much less compared to two decades earlier. Today, better laws are in place to protect them. Similarly, the Malaysian home ministry is very strict regarding the treatment of foreign workers in companies. Many employers have been blacklisted and some are even facing jail sentences for exploiting workers. There are isolated cases of Nepali workers being cheated and exploited. The way media presents such incidents as news has been one of the key reasons for such isolated cases to get highlighted. Many Nepalis in recent years have been sponsored to come to Malaysia in the ‘free ticket and free visa’ policy. Some problems have arisen due to the carelessness of the workers themselves. Some workers, after starting to earn money, drink, start fighting, and destroy property where they work and fall into various troubles. The depreciation of the Malaysian Ringgit in recent years has also become another issue for Nepali migrant workers. As the value of the Malaysian currency is shrinking, Nepali workers are earning less at present. What can be done to enhance the skill of Nepali migrant workers? Nepal has a lot of semi-skilled and unskilled manpower which the country has been exporting for a long time. Now that needs to be changed. Through the proper mobilisation of resources and by providing proper training, the workforce can be up-skilled. If Nepal can export a skilled workforce, the country can see the inflow of remittances increasing. At the same time Nepal can largely benefit from those coming back with extra skills. This can increase opportunities in the country which can also be used locally. I believe that Nepal being a landlocked country is not resource locked. It is the government’s duty to open up the economy to create jobs, to attract investments and ensure a better business environment. 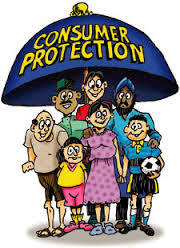 As a leading consumer activist, how do you find the situation of consumer rights in Nepal? What are your suggestions on consumer empowerment? There are a lot of issues to be addressed regarding the strengthening of consumer rights in Nepal. I think that the issues are not so profound. I have personally felt that Nepali consumers are being badly cheated. From the quality of goods and services to the prices of items, there is a widespread anomaly in the market. I strongly suggest establishing a ministry to protect the consumer rights. 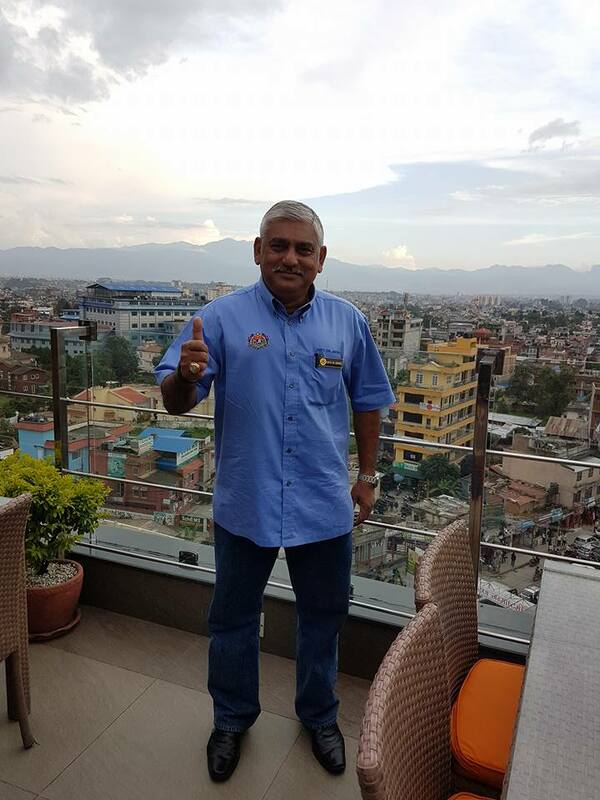 I have been appealing to the Nepali government to establish the Ministry of Consumer Affairs which will take care of all consumer related issues. A department alone cannot handle it all when issues are so entrenched. In Malaysia, we have the Ministry of Domestic Trade and Consumer Affairs which oversees consumer related issues. It is also important to have a ministry as it can effectively formulate and implement laws and regulations such as consumer rights, food safety and other related areas. What is the condition of consumer rights in Malaysia? We are proud to say that we have more than 45 consumer rights laws. We also have a very proactive consumer movement in Malaysia and the relation between consumer bodies and the Ministry of Domestic Trade and Consumer Affairs is very cordial. If the government plans to introduce new laws, consumer rights advocates are invited to take part in the discussions to assess the impacts of the proposed laws and regulations. We also have a price control mechanism in Malaysia which usually becomes active before festivals like Eid, Deepawali, Christmas and the Chinese New Year. The mechanism stops wholesalers, retailers and others to manipulate prices of goods and services in the market, as they know that consumers spend more during the festivals. It makes sure that prices are controlled and prevents business outlets and third parties from profiteering. Similarly, an Anti-profiteering Bill has also been introduced into the Malaysian parliament which is the first of its kind in the world. 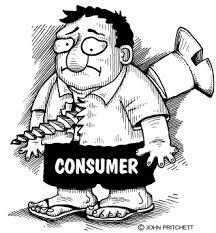 This shows the close relation between the Malaysian government, consumer bodies and consumers. We are now trying to extend our efforts to other ASEAN and Asia-Pacific countries. We want to create a win-win situation for both consumers and businesses. How do you find the quality of goods and services in the Nepali market? While visiting a few shops and supermarkets, I was upset about the quality of goods. I found that the local markets have been dumped with Chinese goods. There are no standards to look after the quality of goods. I saw many goods with health hazards being sold carelessly. The pricing of goods is also an area which needs to be looked into. Goods without proper labels are being sold. Likewise, the sellers do not have expertise to explain the specifications and features of the goods they are selling. There seems to be a huge gap in terms of the knowledge and responsibility of stakeholders. The owners of the businesses have a responsibility to inform customers about the quality, safety and origin of the products. How can a fair pricing system be established that benefits both consumers and businesses? I see an eminent need of establishing a Fair Price Secretariat where consumer advocates, business representatives and government representative can work together on a price mechanism. Fair pricing of goods can be done by formulating a benchmark. You are also involved in environmental issues. Like other parts of the world, environment related issues often conflict with the large development projects here in Nepal. How can we achieve prosperity associated with the projects while also balancing the environmental issues? We need to have a holistic development approach for a balancing act. Besides the environmental impact assessment (EIA) of projects, taking feedback from local people is important. Similarly, conversations with the policymakers regarding the possible changes that may have positive impacts from a particular project are also necessary. I think media has a big role to play in these issues. Generally, people with money, lobbying power and the bureaucracies don’t listen to the voices from the grassroots. This is why the media plays a very important role to ask for factual EIAs, conversations and discussions. Similarly, there should be a law in place that sets parameters and standards to regulate the environmental impacts of the projects. What human resource strategies should business organisations apply to achieve higher productivity in the corporate world? Enhanced skills, mind power, entrepreneurship, transfer of technology, automation of work processes and many other factors are what the future holds for us. Repeating hours of long hard work on a daily basis for a lifetime is dehumanising because you are not optimising your skills and utilising the potential. Institutions need to focus on the enhancement of skills of their employees to yield higher productivity. Educational institutions and other independent organisations can do research activities to find out the weaknesses and strengths of the workforce in the corporate institutions. You are also an expert on ASEAN issues. How do you view the spectacular regional cooperation among the South East Asia nations to overcome the various economic issues? Compared to a decade ago, the conversations between the ASEAN nations have become more dynamic. Secretariats have been set up across all capitals of the member nations to facilitate discussions among the countries. Similarly, the policymakers as well as intellectuals and independent professionals in the region are also much more engaged in highlighting concerns across various issues. Like in Europe, we have been successful in creating a scenario in ASEAN and APEC where the countries are working together for mutual benefit. We have realised that there is a huge potential for economic prosperity in the region and if the countries can work together we can create a borderless situation which will ultimately benefit the people at the grassroots. With the increasing cooperation, the nations have also become politically stable and the level of conflicts between the countries has been largely reduced over the years. Meanwhile, we are also positively engaged in terms of discussions and cooperation with our friends such as China, India and Nepal. What can South Asian nations learn from the economic cooperation of the ASEAN countries? One of the important things for the South Asian nations is to asses their strengths and weaknesses. Dialogue between the countries is necessary to overcome the weaknesses. The nations need to exchange ideas and provide effective support to each other in order to prevail over the weaknesses. Our experience in ASEAN clearly shows that dialogue has been key to remove misunderstandings between the nations. It opens up the countries to engage more in cooperation to achieve common goals. This process has started but it is not enough. For example, during natural calamities like in last year’s earthquake in Nepal, South Asian countries strongly showed their support to an affected nation. Now this has to be translated into other situations where countries can help each other. MALAYSIA’S LEAD CONSUMERIST SAYS NIOSH CHARMAN SHOULD RESIGN IMMEDIATELY INSTEAD OF MAKING STATEMENTS! MALAYSIA’S LEAD CONSUMERIST SAYS NIOSH CHARMAN SHOULD RESIGN IMMEDIATELY INSTEAD OF MAKING PRESS STATEMENTS! 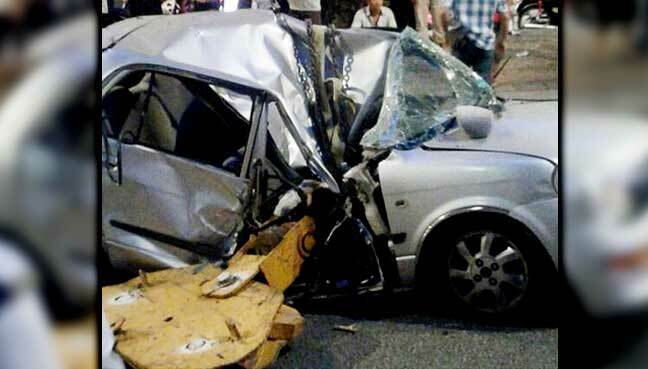 Last Thursday, 24 year old Chin Khoon Sing, who is from Noordin Street in George Town, died instantly after a one-tonne crane hook at a construction site became detached and fell 20 storeys on her Perodua Kelisa passing by in Jalan Raja Chulan in Kuala Lumpur. Another family suffers a loss of life as tragedy strikes yet another family! And as always there is no end to certain individuals in public office to issue press statements! No embarrassment at all, no decency to take responsibility and resign to show disgust and urgency for a much needed revamp and a termination of the apathy and incompetence that grips the individuals who hold office in Malaysia! This case and tragedy is classified as causing death by negligence under Section 304A of the Penal Code. This is certainly not the first such incident and I will say it will not be the last as long as we have incompetent individuals and idiots continuing to head both public office and enforcement agencies! After one week, all that the Department of Safety and Health Deputy Director (occupational safety) Omar Mat Piah can say is he is yet to get a conclusive report on safety improvements at the construction site, as recommended by the department. If that is no evidence of incompetence, stupidity and a lackluster attitude despite a fatality, I wonder what is? “Up to now, we are unsure which parties are involved in the mishap. Under Malaysian federal law, the onus is on the main contractor to ensure the safety of cranes at construction sites. What is the status to date? Has there being any arrest? International golden rule has always being that there should never be any lifting over a public area and the crane boom should not overhang that area too. That is the first rule for any crane. And you do not have to be a rocket scientist to state that this cardinal rule was broken! Secondly, how is it possible for the hook to fall off without any load on it? Incidentally, should not all machinery be checked daily? When it comes to working around cranes and hoists, this golden safety rule that stands high above all other safety considerations. And as I stated that rule is never maneuver the boom under people or work directly, or within the potential fall radius of a suspended load even for a tower crane. Did this fatality happen because this golden rule was breached? Did that crane undergo periodic robust thorough examination & pre-use inspections? If so who actually conducted the safety process and was this process in any way violated? Who was at the controls of the said crane? Was he qualified and certified by the stakeholders? Who was managing and supervising the process if any at that material time? Who were the enforcement and monitoring agencies at ground zero? Perhaps, we can start with the sitting NIOSH Chairman, having the decency to resign at yet another fatality under his watch instead of making more press statements? 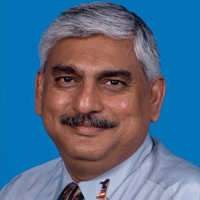 ASEAN/APEC LEAD CONSUMERIST DR JACOB GEORGE ASKS HAS MAS LEARNT LESSONS FOR ADVANCEMENT POST MH370 AND MH17! What we have had for so long were self-serving, selfish self-centered, individuals, decision makers, gatekeepers, questionable policies, whose interest it served, the individuals, certain groups, the nation’s or public interests as multi millions was pumped into, from tax payers! If this is not a crime and a betrayal of trust, I wonder what is! When something goes wrong, a decent airline is one that does a professional job of either addressing and fixing that issue or trying to seek help from outside if one does not have the skill sets to address them! Have we done things in half measures prioritizing private agendas rather than addressing issues like a corporate body should? Have we cut costs where we should not and have not cut costs and abuse where we should? Have we looked at the huge obese number of suppliers and contractors we have and does that make economic and quality sense let alone facilitate accountability, good governance, transparency, and a vision that ensures quality, we can all believe in? There are claims that those retrenched are still awaiting their dues. If true, is this not a cruel second blow to one who has served the organization? And why the obsession for investing for a new uniform? Whose interests served here? We say we are cash strapped but that does not stop a few idiots from spending millions refurbishing an old 747 which eventually could not be used? Are we the only country which uses or abuses a A380 on routes it should not be flying or keeping one just for spares? So much for return on investments! Of late, we have given away routes, we always had and now working like a regional airline, while our former lucrative destinations are given over in a plate to a competitor by someone rumored to be joining them if the rumor is to be believed? Any conflict in interests issues here? Are we taking great care of our assets which are our pilots and crew? Do they have a great take home salary, benefits and allowances (not either or) and many a fringe benefits that are available in other airlines? Opportunity for training, development of new skill sets, opportunities to be bedded with another branded airline for exposure training? An opportunity to share both their tributes, agonies and frustrations with policymakers and members of the board without fear of being victimized? For those laid off, have we helped find alternative jobs for them or provide skills training? In the last few decades how many board members have we removed or fired due to incompetence or for a lack of skills to share brought to the table? As a frequent flyer I have the opportunity to evaluate the professionalism and quality of the service of an airline or lack of! From even a minor issue of a delayed flight or facilitating redress for passengers wanting to make claims for delayed flights, one can make a judgment call after seeing if during that delay passengers were all kept informed of what was happening; kept comfortable, swiftly transferred to a nearby comfortable hotel with a generous telephone allowance arranged for them to update loved ones on the delays. I have always stated that the following 12 issues are extremely important to an airline brand. Can we adopt them if they are not already in the pipeline? 10. A wide range of food and drinks for passengers. 11. Special Priority Privileges for boarding, embarkation, seating, food, for a frequent flyer and supporters of the airline. 12 . An opportunity for upgrade whenever possible. “If you look after your staff, they’ll look after your customers. It’s that simple.” Or “Train people well enough so that they can leave, treat them well enough so that they don’t want to!” Those were key statements, from dear friend, Richard Branson of Virgin Airlines, which should end up as a tablet of priority at MAS but have they been? What we have had for so long were self-serving, selfish self-centered, individuals, decision makers, gatekeepers, questionable policies, whose interest it served, the individuals, certain groups, the nation’s or public interests as multi millions was pumped into, from tax payers! If this is not a crime and a betrayal of trust, I wonder what is! 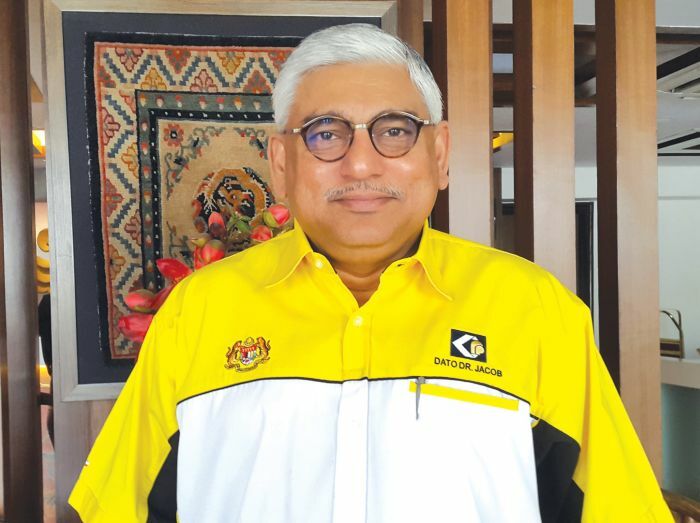 CASSA: STOP THE RACIAL SLURS IN MEDIA REPORTING KOSMO TOLD! ‘We as leaders must be statesmen and Stateswomen and be above reproach! We are leaders not mentally challenged politicians, political adventurers, shenanigans, thugs, rent a crowd doing the bidding of third parties for monies and other payments! The Consumers Association Of Subang & Shah Alam, Selangor (CASSA) today hit out at vernacular tabloid Kosmo for publishing an insensitive headline in their front page of its 18th August publication. The headlines were directed at our Olympics mixed double pair who had to settle for a silver medal in their match contest. The manner it was headlined showed great in sensitiveness, lack of respect and decorum in appreciating a pair that made Malaysia proud by winning a silver medal at the Rio Olympics against great odds and challenges. It also undermined their efforts and sent a very negative message to budding sportsmen and sportswomen that only Gold medalist are praised! The headlined also undermine the praises stated by Prime Minister Najib Tun Razak post that match! At the Press Conference, CASSA also warned media groups who fan racial, religious baiting and racism! “We will go down to the grassroots nationwide and urge a national boycott of your newspapers and media. 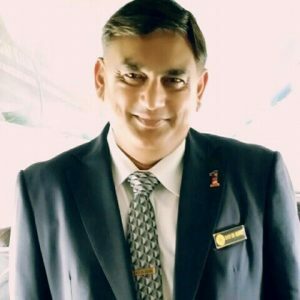 “We received over 276 complaints from throughout Malaysia and from all racial compositions within the first six hours of yesterday. There was supposed to be over 500 consumers today to support this response but we urged them to stay away and allow us to manage this narrative in the manner, we are doing so today. “However, we took a decision this morning collectively not to do so! The reasons is simple. What would be the difference between those who are currently race and religion baiting, carrying out seditious utterances, demonstrating and burning effigies and us then? We as leaders must be statesmen and Stateswomen and be above reproach! We must lead by example and thus this response! 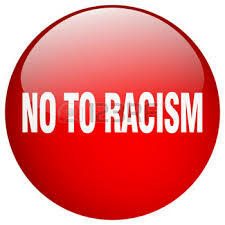 In a response to the manner certain media outlets are fanning racism – CASSA will be forwarding a memorandum to the Prime Minister, Deputy Prime Minister and the Communications Minister seeking their support and efforts to address and curb it. Also at the Press Conference was CASSA Public Policy Analyst Syed Farieh Yahaya. “The media has a huge responsibility to play in nation building. (Above) She created history for her country and see how despite the silver – the Indian media lauds and appreciates the achievement! 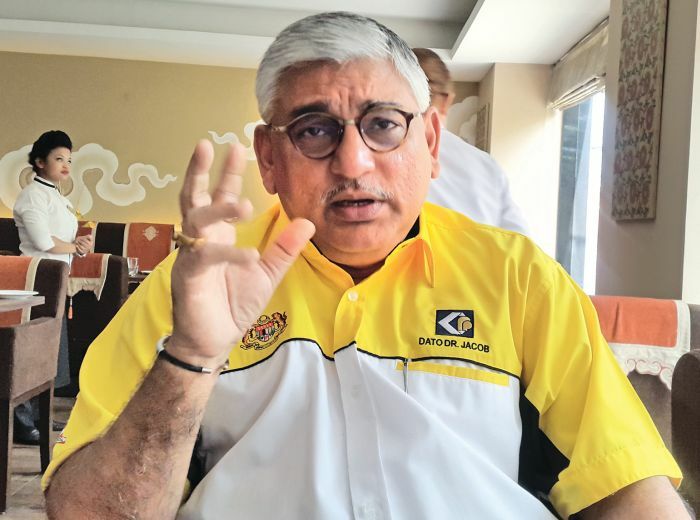 Embarrassingly, irrespective what happens in tomorrows match – we are still unworthy of any recognition or honor for the way we treat our sportsmen and women as tools to be used and abused by the bourgeoisie politicians that Malaysia has created!